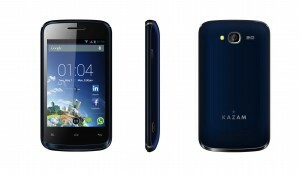 I have an iPhone as my business mobile, but I have made a purchase that I thoroughly enjoy – a Kazam Trooper X3.5. In Denmark such a Kazam smartphone costs about 1/8 of an iPhone. As regular readers know, I DO value all the positive aspects of Apple products. However, I have also, long ago, realized that you need different horses for different courses. I hate to brag, but I am willing to go very far to get exactly the product I need, and iPhones have one annoyance in common with Nokia Lumia smartphones: their Danish dictionaries are NOT up to par!